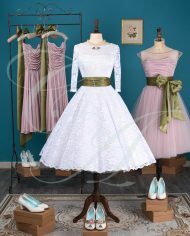 Colour: Cream (Gown), White (Overlay). Candy Anthony SIZE: 8, 10, 12, 14, 16. 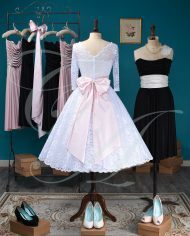 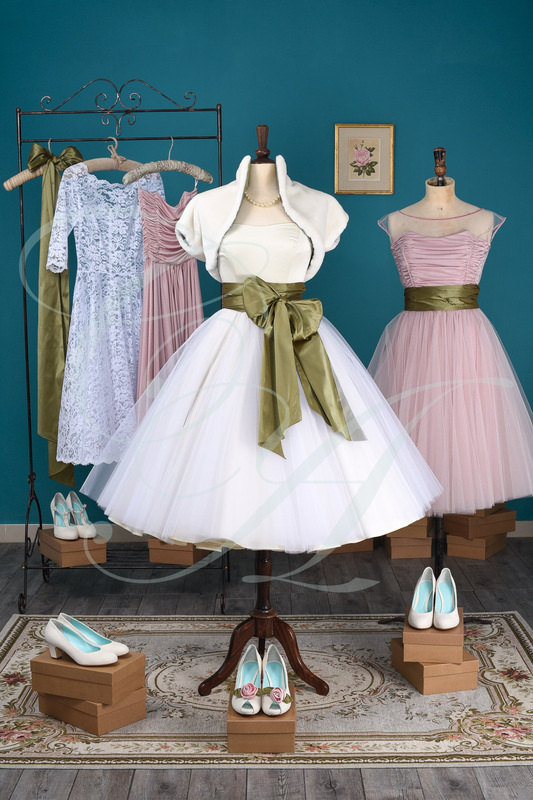 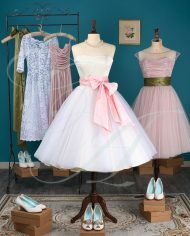 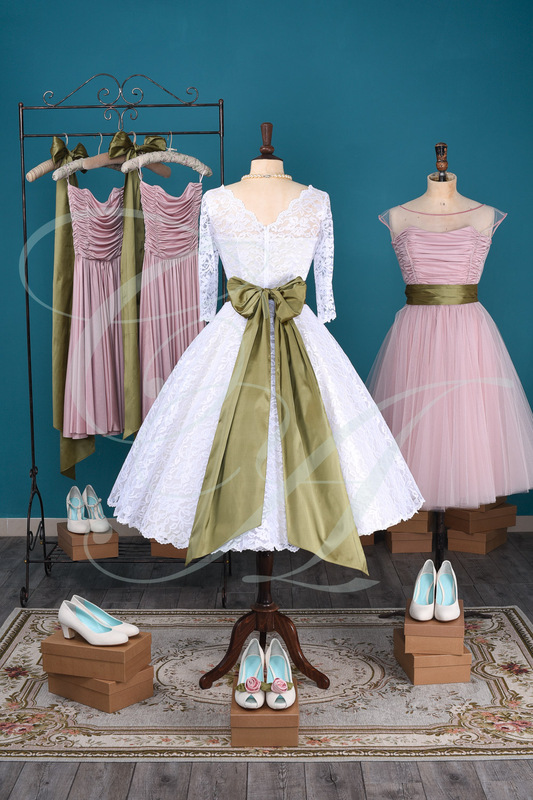 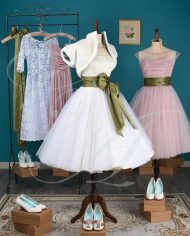 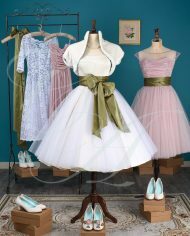 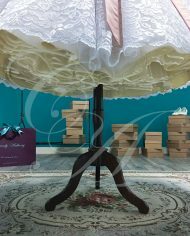 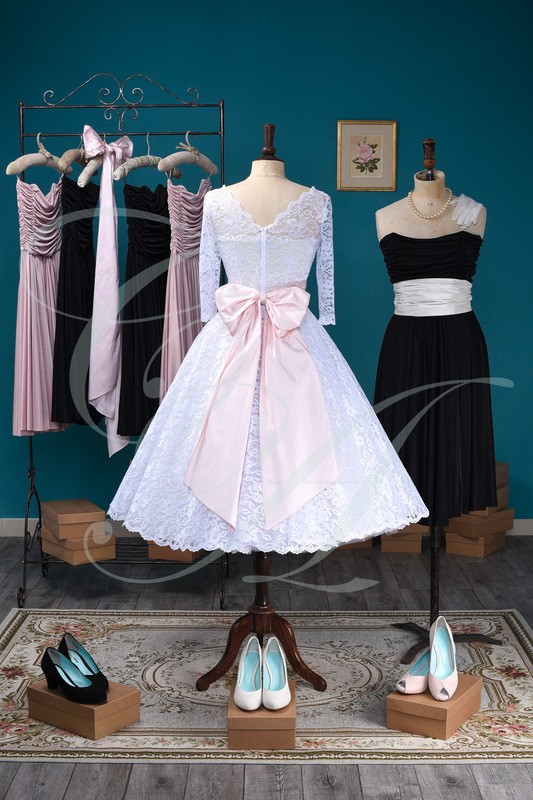 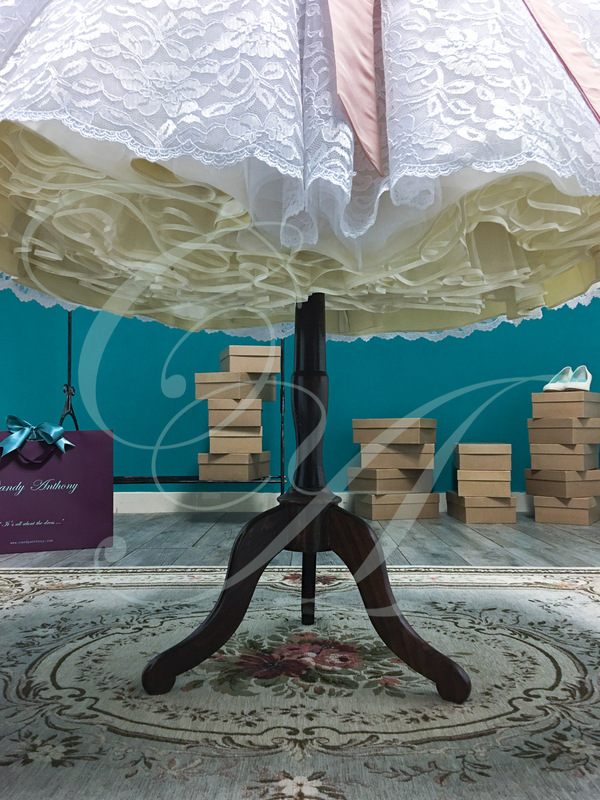 Petticoat (Included): Cream (Colour may be subject to availability). 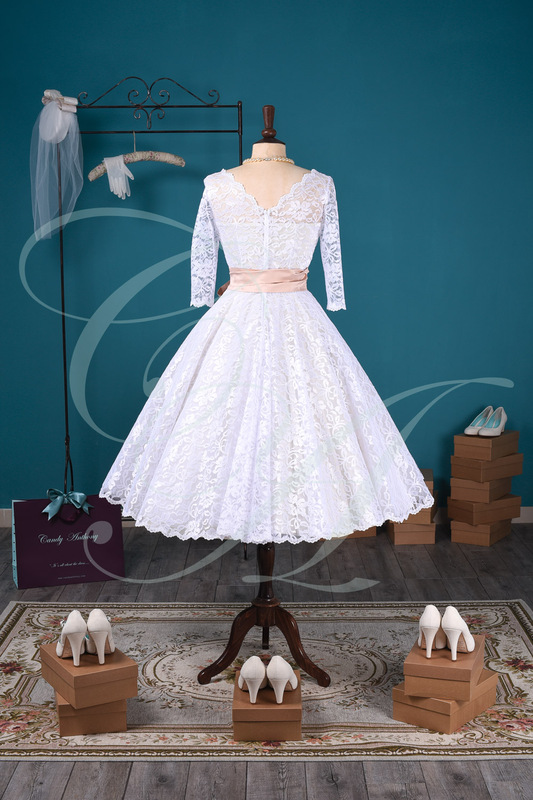 Features: Candy SAMPLE Gown in Cream with separate Full Lace Overlay. 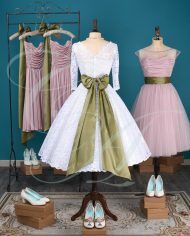 Duchess Satin Gown, Fully Boned and lined Bodice, Full-Circle Fully lined Tea-length Skirt length 29 inches (74cm). 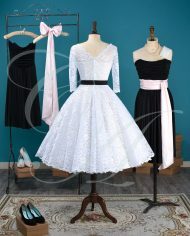 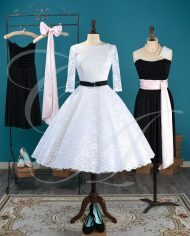 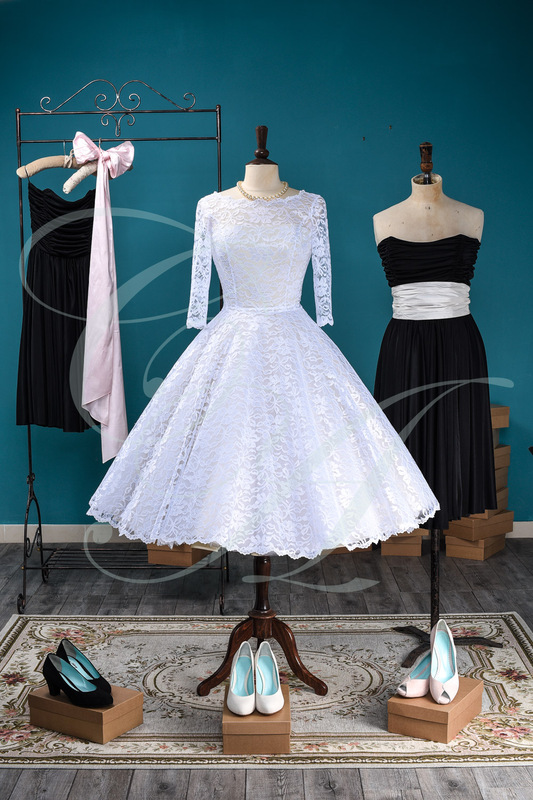 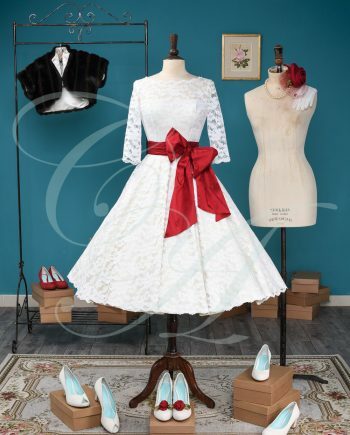 English Nottingham Lace Overlay in White, 3/4 length sleeves, Scalloped Lace trim, Full-Circle skirt length 29 inches (74cm). 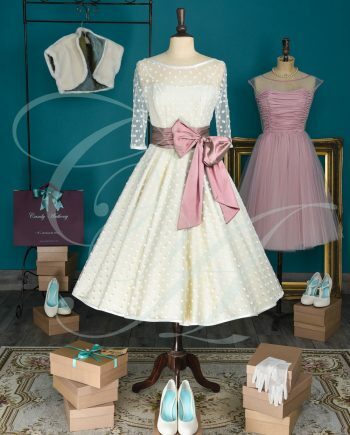 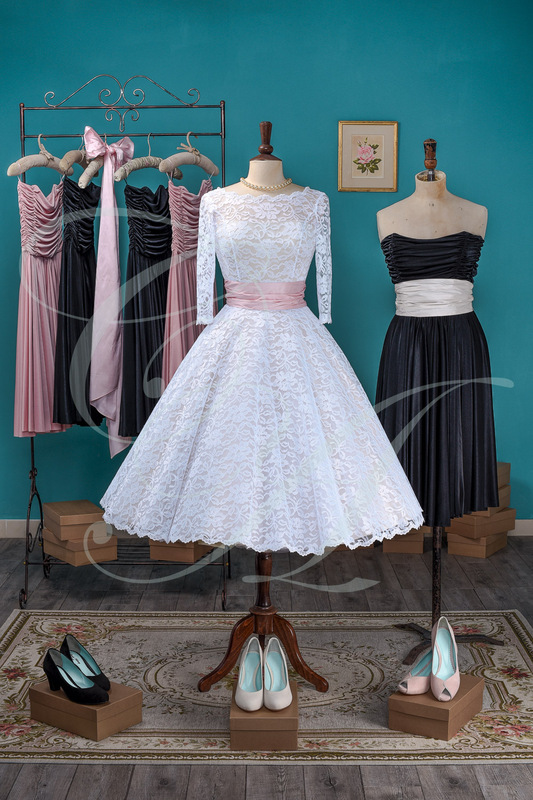 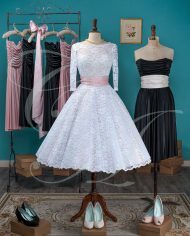 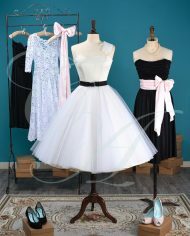 Both items can be worn separately, with or without petticoat, making this outfit extremely versatile to suit any special occasion. You have two dresses and several looks in one! 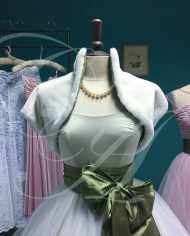 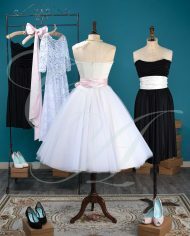 Optional Accessories: Duchess Satin Bolero, Satin Bow-Belt, Satin Bow-Knot, Velvet-Bow Detail, Handmade Silk Rose. Tulle Veil, Birdcage Veil or Pill-Box Hat. An elegant overlay in elaborate, English Nottingham Lace is at once superbly luxurious, graceful and alluring as it accompanies the Classic Candy or Sweetheart Candy Gown. 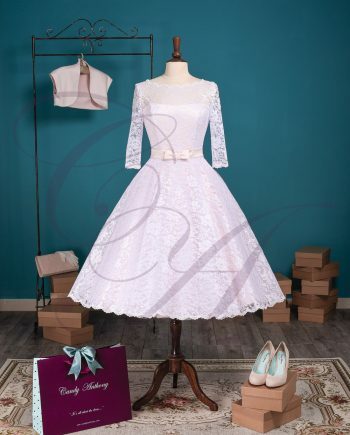 This coveted piece boasts a beautifully modest, bateau-neckline with a sophisticated V-back, three-quarter-length sleeves and a full-circle skirt all trimmed with a romantic, scalloped lace. 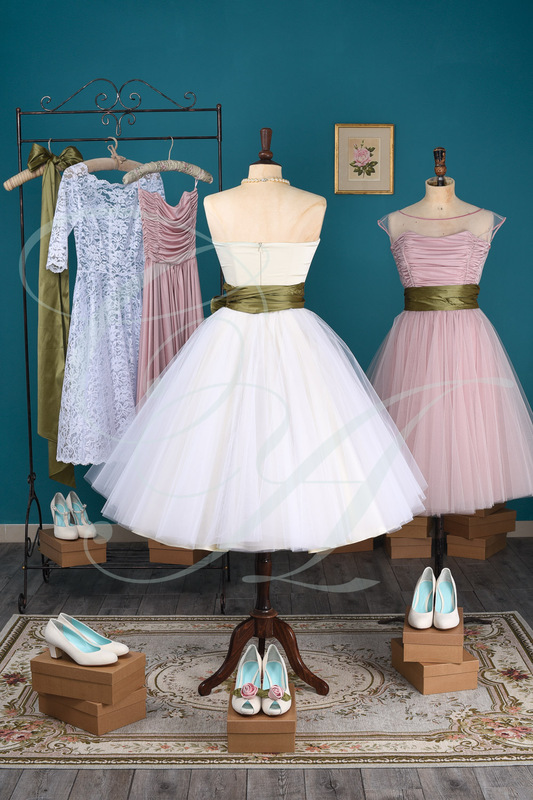 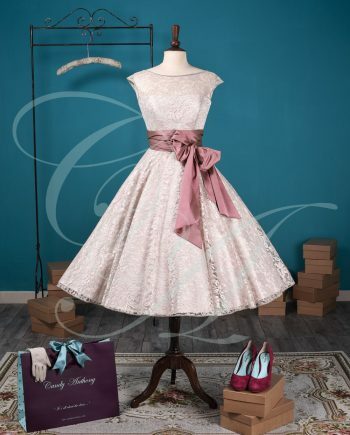 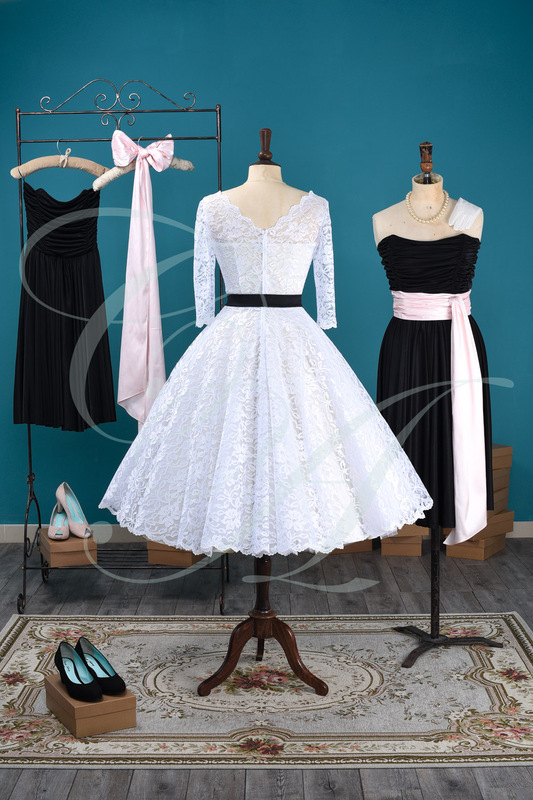 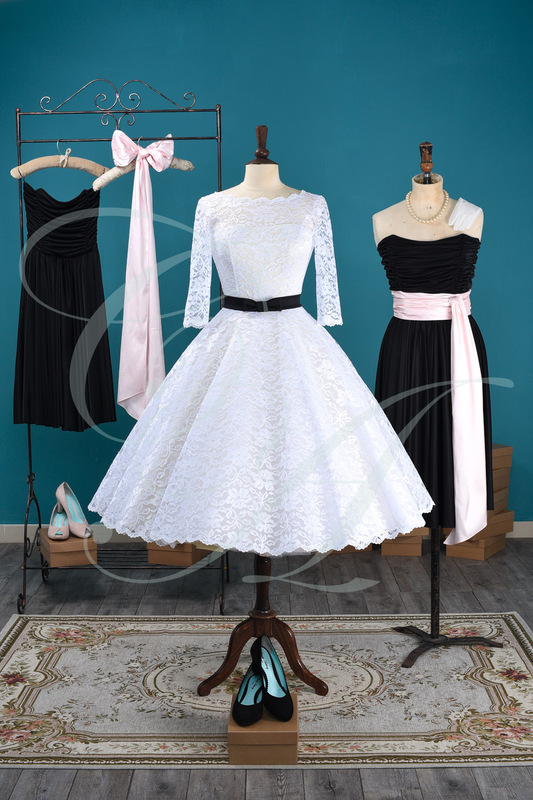 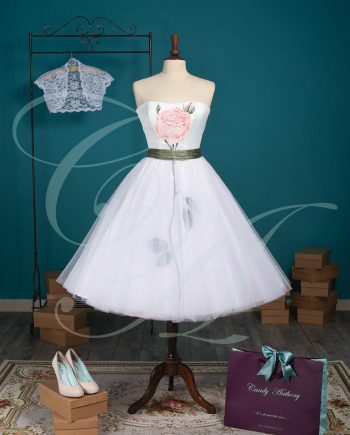 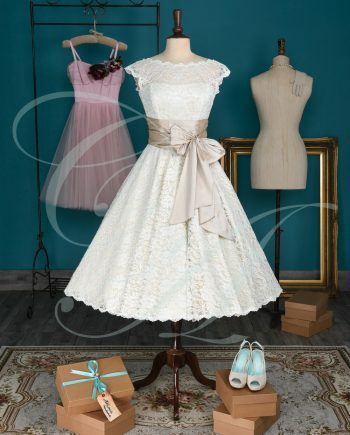 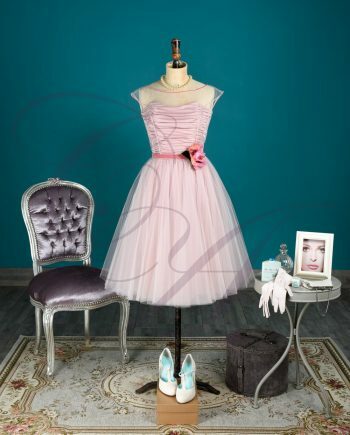 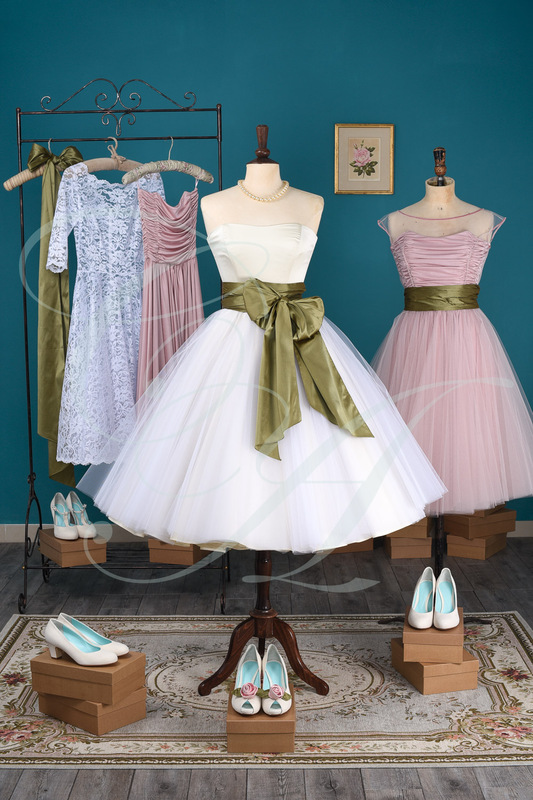 A vision of loveliness and perfectly suited for both a formal or fun ceremony. 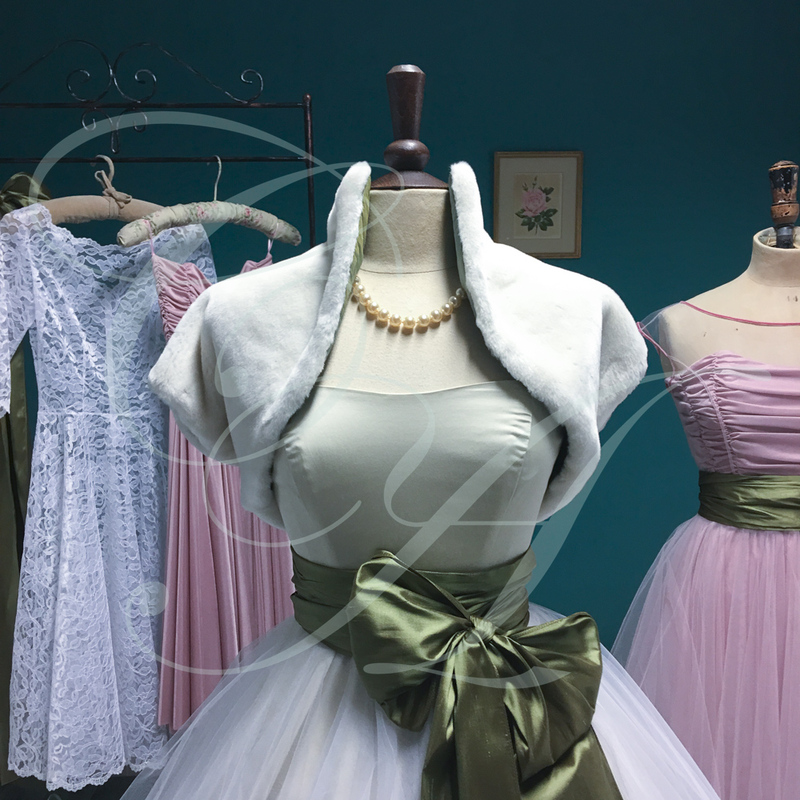 Displaying to fine perfection the beauty of a gown, The Sweetheart / Classic Candy was launched twelve years ago and since then has been featured in every major bridal publication, including Conde’ Nast ‘Brides’, ’You and Your Wedding’ and ‘Wedding’ magazine. 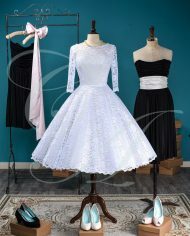 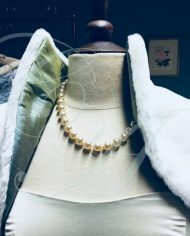 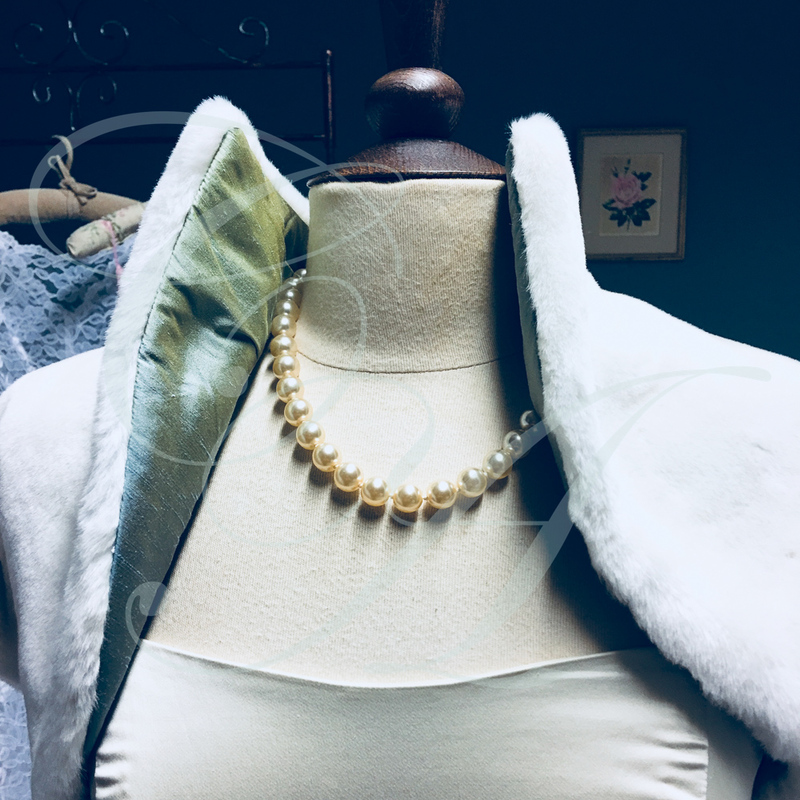 This connoisseur is the basis of all the vintage inspired gowns in the captivating range and is renowned for its exemplary classic grace and eloquence of design, precise cut, striking simplicity, supreme craftsmanship, impeccable fit and luxurious quality. 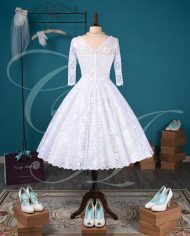 The timelessly alluring gown is made from sumptuous Duchess Satin and the fully-boned bodice is moulded effortlessly at the bust and nips-in the waist where it is met with a voluminous full-circle skirt, alive with the unrestrained fullness of the tulle petticoat which sits beneath.